What sets our garden care services apart from your typical gardening service is that we are not a “mow and blow” service. 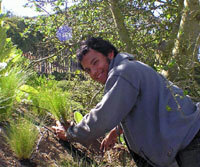 I work closely with my gardeners and am very involved at each home garden or property we tend. Our garden care operation is very organized and the crews of gardeners are well-trained and understand the reasons for everything they do. Because of this, your specific requests can be filled in a timely manner, crews use time efficiently and we can focus on all the details of your garden. Over time this attention to details pays off in very healthy, good-looking gardens. My clients also like that I can almost always keep the same crews of gardeners on the same jobs for the long term. The gardeners work well together and are in tune with the changing needs of your garden. It’s really only when there is a reduced workweek, due to storms or holidays that I have to move crews off their usual schedules; otherwise, we keep a very consistent and organized routine. 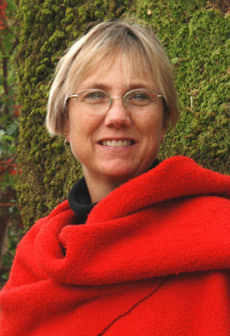 I trained in horticulture at Merritt College and landscape design through the Garden Design program of UC Berkeley Extension. I studied Three-dimensional Design and Sculpture at San Francisco State, California and apprenticed for 8 years with architect Paolo Soleri at Arcosanti in Arizona. My focus at Arcosanti was ceramics, where I ran the ceramic studio during my tenure there. My horticulture training includes: Plant identification, plant pathology, insects, weeds, soil science, plant physiology, pruning, natural and chemical controls of pests and diseases, appropriate maintenance techniques, permaculture, xeriscape, edibles, plant nutrition and native plants. My Landscape Design studies include: History of landscape design, construction techniques, grading and drainage, environmental planning, irrigation design, garden layout, graphics, planting design, and paving materials. 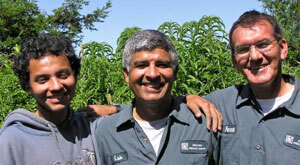 I continue to learn and expand my knowledge of horticulture and garden care issues by attending classes and workshops. When I’m not working in the garden, I like to hike, cross country ski, backpack, and snowshoe, all of which give me inspiration for gardens. To discuss your garden project, please call me, Sally Dinwoodie, at 510 233-9336 or email me at sallydinwoodie@sbcglobal.net.